We are experienced in organising and tutoring on practical heritage skills courses. 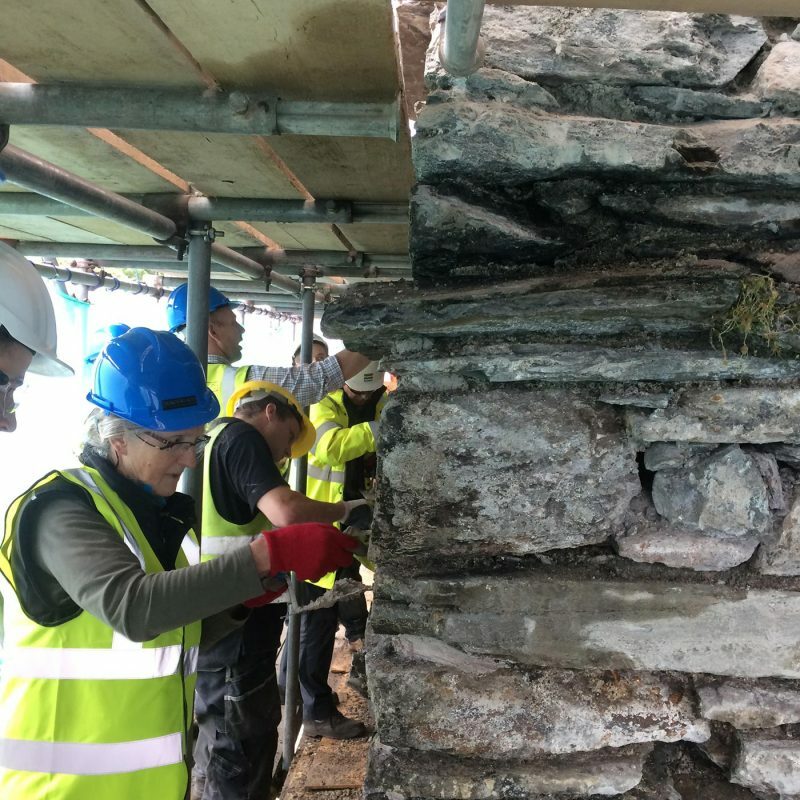 Past courses include one-day to three-day courses on lime, (including mortars, plasters and decorative plaster), stone conservation, stone carving, earth walling, chalk walling, and gypsum-plaster floor repairs, as well as general courses covering a wide range of building repair and philosophy for contractors and homeowners. Courses have also included involvement of local school groups, to help encourage younger children to become interested in their built heritage through practical, fun activities. Many of the courses have included the involvement of specialist crafts people, or lectures and presentations by other professionals. The network of skilled people Crosby Granger Architects has at its finger-tips allows the successful organisation of events, as well as utilising the personal skills of our own team members for smaller training needs, for example on-site tuition. 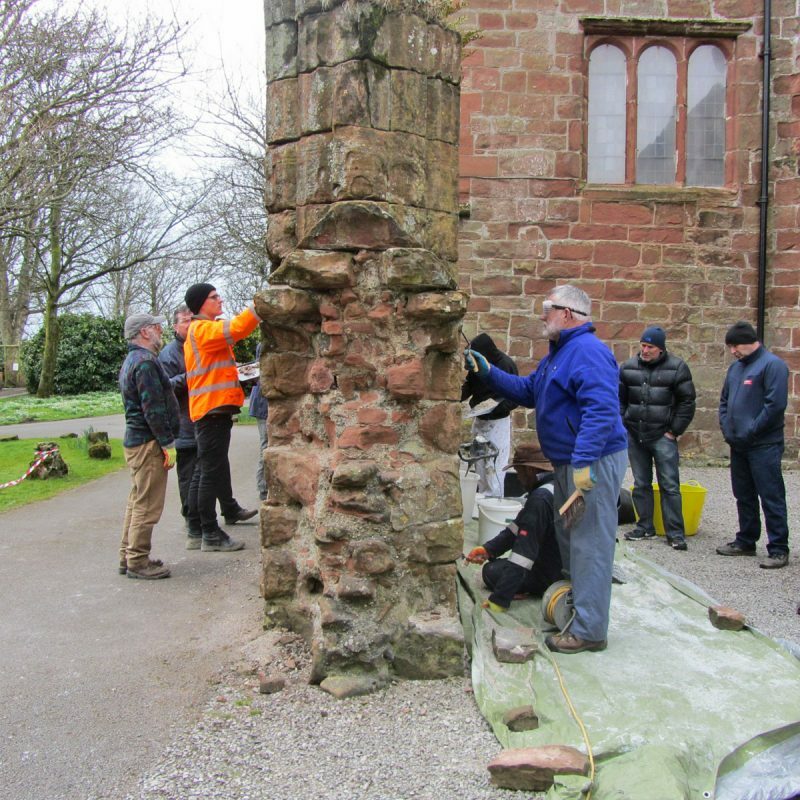 We see every project as an opportunity to teach others about the skills and knowledge required to repair and protect our historic buildings and structures. The Heritage Skills Fair will consist of 12 exhibitors demonstrating traditional crafts ranging from stone masonry to stained glass work, lead-working to willow basket weaving. Visitors will have the opportunity to have a go at the various activities. The exhibitors will be presenting a range of important traditional skills, including lime plastering, earth walling, blacksmithing, sash window repair and dry stone walling. The public will be able to join in and try each craft, ask questions, and learn about the relevance of these traditional crafts today. There will also be technical experts offering ‘building surgeries’ where visitors can discuss any issues they have with their properties, such as damp. Cumbria Action for Sustainability (CAfS) will be present, providing information and advice regarding improving energy efficiency and flood resilience in old buildings.